Wouldn’t it be cool if your phone could have a small and removable 360-degree camera? That’s the concept behind Insta360’s innovative Nano, previewed here. 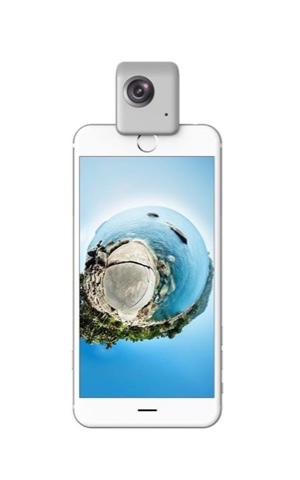 The Nano is a small 360-degree camera that attaches to the lightning port of the iPhone. Once attached, the Nano uses the iPhone to show a realtime live preview. It also makes sharing to social media a snap. The Nano had been scheduled for release in April but it appears that had been delayed, even though it appeared briefly on Aliexpress. Hopefully we’ll see the Nano soon! For related posts on the Nano click here.